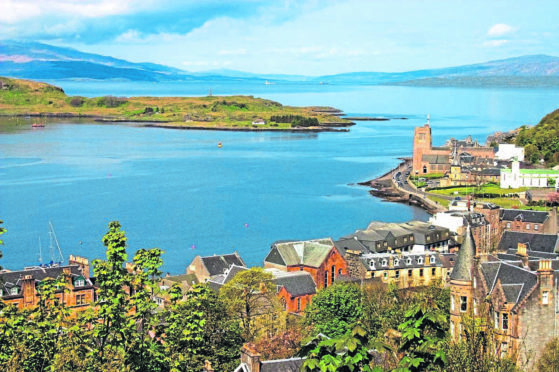 Tourism, business and leisure groups in Oban have said that they are “astounded” that plans are continuing for CMAL to run the entire harbour area, despite public support for a trust port. Oban Bay Management Group (OBMG) which includes CMAL, the public body which owns the ferry pier, Argyll and Bute Council and Northern Lighthouse Board, is holding a public meeting on Thursday. The meeting at 7.30pm in the Corran Halls will discuss the feedback from a survey, update the community on OBMG activity and discuss a trust port option. It will also give details of plans to delay the timetable for submitting a Harbour Revision Order for CMAL by a month or so. Oban and Lorn Tourism Alliance, BID4Oban and Port of Oban Cruise Group, are unhappy that OBMG continues to champion the CMAL option despite its own survey declaring support for a trust port. Only 7% of those who completed the survey were in favour of CMAL having responsibility for the waters in Oban Bay. Linda Battison, chairwoman of OLTA said: “OBMG is ploughing on regardless with plans for a CMAL Single Harbour Order which takes no account of the feelings expressed at the last public meeting, the stakeholders or those who completed the online survey. Lorna Spencer of CMAL, chairwoman of the OBMG, said: “We have stated our support for a trust port. We will provide assistance to a viable stakeholder group and sufficient time will be given for the necessary research and preparation.